Hiya! I’m KB, founder of Free Angel Card Readings Online. I am an intuitive consultant, musician and jewelry designer. I am so glad you are here! 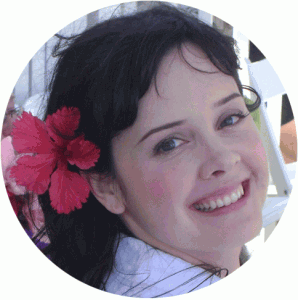 Free Angel Card Readings Online is a site for inspiration, spiritual growth, and healing. Although I felt extremely connected to Spirit when I was a child, my teens and twenties were filled with feelings of disconnection and a general lack of purpose. When I was 29, I had a spiritual experience that re-connected me to Spirit and amplified my intuition. I have been giving intuitive readings ever since (that was in 2006). If you have ever felt confused, disconnected, unmotivated or depressed, you’re in the right place. These feelings are a natural result of becoming disconnected from Spirit. Re-connecting with the spiritual realm through a daily message from your angels will help you gain clarity, purpose, and peace of mind. If you are brand new, be sure to sign up for my email newsletter using the form below. You will get sent a copy of my special report, ”10 Secrets Your Angels Want You To Know”. The email newsletter is the only way to guarantee that you’ll stay up to date on new readings, new angel cards, sales and other awesome things I like to share. I am a graduate of Debra Katz’s clairvoyant training program and have also been certified as an Angel Card Reader by Doreen Virtue. If you’d like to schedule a private reading with me, you can do so here. I spend most of my time at home, giving readings and designing spiritual jewelry for my Etsy shop, Begin Within Jewelry. In my spare time I do a lot of yoga, and enjoy making raw vegan food. 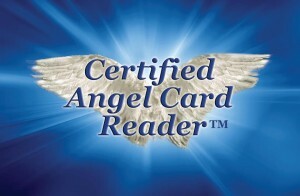 If you have any questions, comments or concerns please email me at karen@freeangelcardreadingsonline.com. Now that Free Angel Card Readings has grown so much, I can’t promise to respond to every single email… But I do read all of them and you are all in my thoughts and prayers. Your compliments keep me motivated and mean the world to me.